Shattered Reality Podcast | Shattered Reality! Owls and their relationship to UFOs and synchronicity are the subjects of Mike Clelland’s work. 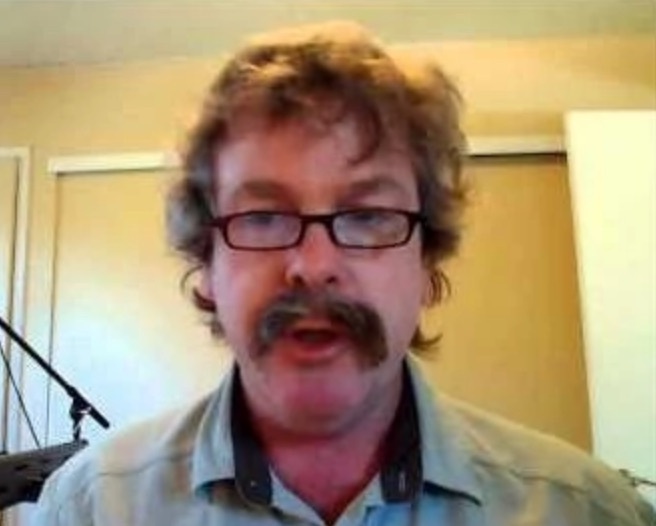 On March 12, 2019 Fahrusha welcomed Mike Clelland, an avid outdoorsman, illustrator and UFO researcher, to “Shattered Reality Podcast”. 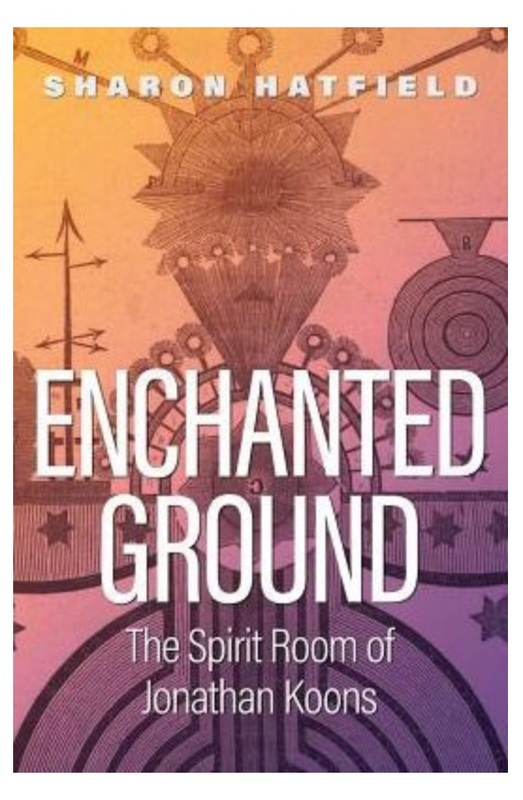 He has written extensively on the subject of owls, UFOs, and synchronicity. This episode was particularly conversational, with Fahrusha contributing some of her experiences to the mix. The short take-away from this is that people who have experiences with owls in the wild often also have UFO experiences and many of them may be abductees as well. Some folks see owls that are impossibly big to be flesh and blood owls. Under hypnosis these people sometimes find that what they saw were actually small grey aliens. Though Mike’s research centers around the owl/UFO connection, Fahrusha drew parallels to other animal/UFO connections involving raccoons, cats and opossums among others. Fahrusha is a city chick, but she is a good spotter of birds and mammals in the wild. Owls have the best hearing of all birds and excellent night vision as well. Their feathers are specially equipped for silent flight. Cats and dogs also see more than the spectrum visible to humans, and may be sensitive to invisible intruders. All human companions of cats have been unnerved by the felines staring intently at something the human cannot see. Mike Clelland, author of two books involving UFOs, Owls and Synchronicity and other books on backpacking. Categories: Alien presence, Author, Bizarre but true, paranormal phenomena, shamanism, UFOs | Tags: alien communication, animal communication, Fahrusha, Mike Clelland, Owls, shamanism, Shattered Reality Podcast, synchronicity, UFO enigma, UFOs | Permalink. 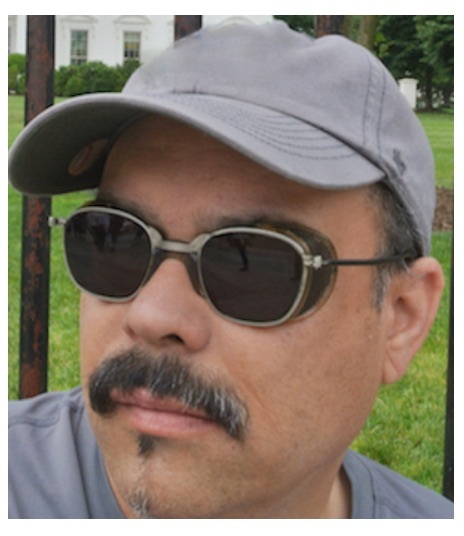 Robert Salas, retired USAF Captain and author. 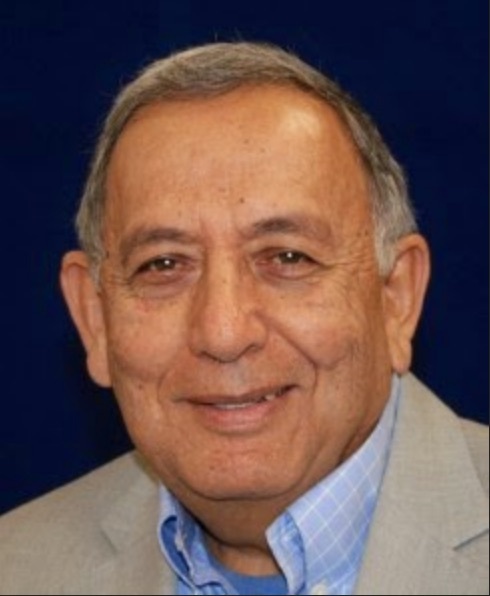 On February 27, 2019, Fahrusha was pleased to welcome Retired Air Force Captain Robert Salas to “Shattered Reality Podcast”. Robert is the author of two excellent books, Unidentified: The UFO Phenomenon: How World Governments Have Conspired to Conceal Humanity’s Biggest Secret and Faded Giant (co-author James Klotz). Robert has proposed that according to game theory, the forces for secrecy and those that push for disclosure are playing a zero sum game. He believes that eventually disclosure must happen. As an adherent of the extra-terrestrial hypothesis (ETH) he believes that ET is on our side, though he allows that there may be more than one kind of ET. He has had some personal experiences with “the others” and feels that his mission is to warn of the dangers of nuclear weapons. That mission is a noble one. Recently Robert Salas has traveled to Peru with renowned musician Will Galison where he was shown some mummies of non-human creatures, he thinks may be aliens. There are a number of international scientists working on the case and we eagerly await their findings. Note 1: Homo floresiensis, a.k.a. “the Hobbit,” was an ancient hominin that lived until at least 17,000 years ago in South East Asia on the remote Indonesian island of Flores. Some think its extinction was more recent. Note 2: The Texas UFO flap Fahrusha referenced in regard to Angelia Joiner was the Stephenville incident. Categories: Alien presence, Author, UFOs, UFOs and the military | Tags: alien abduction, alien communication, Fahrusha, James Klotz, Malmstrom UFO incident, Robert Salas, Shattered Reality Podcast, UFO disclosure, UFO enigma, UFOs and the military, UFOs interfere with nukes., Will Galison | Permalink. 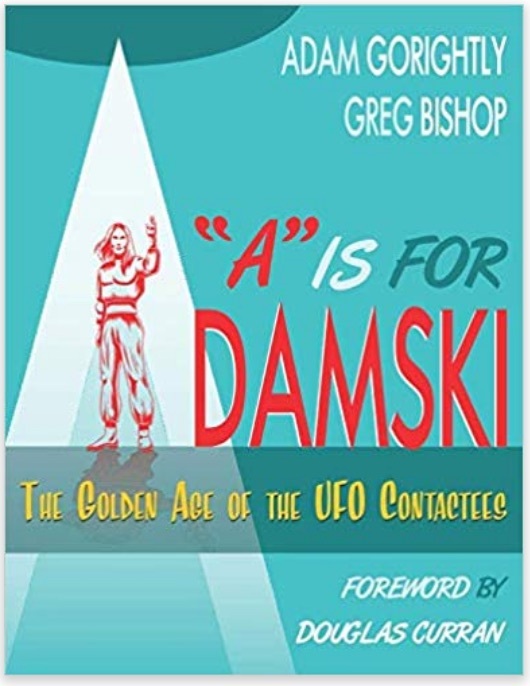 Fahrusha was happy to welcome Greg Bishop and Adam Gorightly authors of the entertaining book named A is for Adamski: The Golden Age of the UFO Contactees. The contactees are people who claim (largely) benevolent contact with the denizens of flying saucers. Their heyday was in the 1950s, but there were contactees before Roswell and after the fifties into the current period. The book is arranged alphabetically by the person and there is a photo for each entry. There is a kitsch element to these photos that is definitely entertaining and fun. We spoke extensively about the reality or lack thereof of these experiences. I tried to make a possible connection between contactees and near death experiencers and to a lesser extent remote viewers. There are many overlaps between different people in the book as some of them knew one another, especially those that gathered with Adamski and VanTassel at Giant Rock in the southern California desert over the years. There are also many questions about the honesty of some of the most notorious of the people profiled, but by and large, most were sincere. It must be understood that what ever they encountered had to be processed by the reducing valve of their brains which may have overlaid the experience with something familiar or understandable to them. Kudos also to Douglas Curran whose photos inspired the book. Errata: The near death experiencer Fahrusha referenced but couldn’t remember the name of is Anita Moorjani. She is representative of a number of NDEers. Categories: Alien presence, Author, Bizarre but true, Humanoids, paranormal phenomena, Religious beliefs, shamanism, UFOs | Tags: Adam Gorightly, contactees, Douglas Curran, Fahrusha, Greg Bishop, Shattered Reality Podcast | Permalink. Fahrusha warmly welcomed Jason Mizrahi, manager of Original Products and David B. Metcalfe, paranormal researcher to Shattered Reality Podcast to discuss the growing business of magickal supplies around the world. The founder of Original Products, Jack Mizrahi (retired), pictured above, is the father of Jason and an incredibly erudite businessperson. He started the business with his longtime friend Milton Benezra in the 1950s upon returning home from the Korean War. 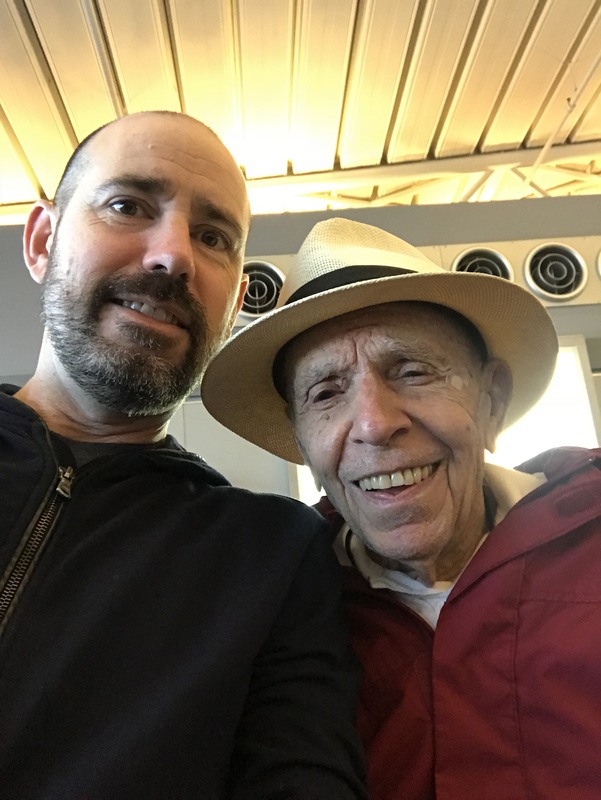 Because he could speak Ladino the language of the Sephardic diaspora, it was easy to understand Spanish, as Ladino has its roots in Old Spanish. As a result of his facility with languages and innate humor and common sense, Original Products became a successful institution in the South Bronx, catering to the Latin American community’s spiritual supply needs and later to the Afro-Caribbean community. Today Original Products’ reach spans the globe and their products are used by people of many different spiritual traditions. Also featured on this episode is return guest, David B. Metcalfe, a prominent paranormal researcher, writer and multimedia artist focusing on the interstices of art, culture, and consciousness. He is a contributing editor for Reality Sandwich, The Revealer, the online journal of NYU’s Center for Religion and Media, and The Daily Grail. 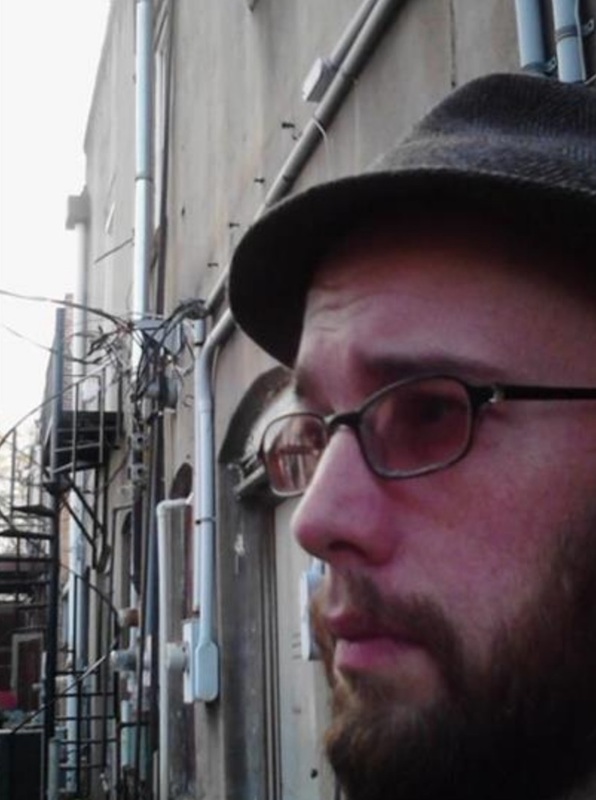 His blog is Exploring the Outer Edges of Society and Mind. He has worked extensively with Andrew Chesnut who has researched the Santa Muerte tradition and is the co-developer of the website Most Holy Death. We had a lively discussion about emerging spiritual traditions, magickal supplies, and what it is like to be involved in paranormal studies. Shattered Reality Podcast encourages listeners to submit their own paranormal experiences for inclusion in the “Listeners’ Corner” featured on some episodes. Categories: Bizarre but true, Goddess, paranormal phenomena, Religious beliefs, shamanism | Tags: botanicas, David B. Metcalfe, Fahrusha, gris gris shops, Isis Kammare, Jack Mizrahi, Jason Mizrahi, Original Products, Santa Muerte, Santeria, Shattered Reality Podcast, Spiritism | Permalink. 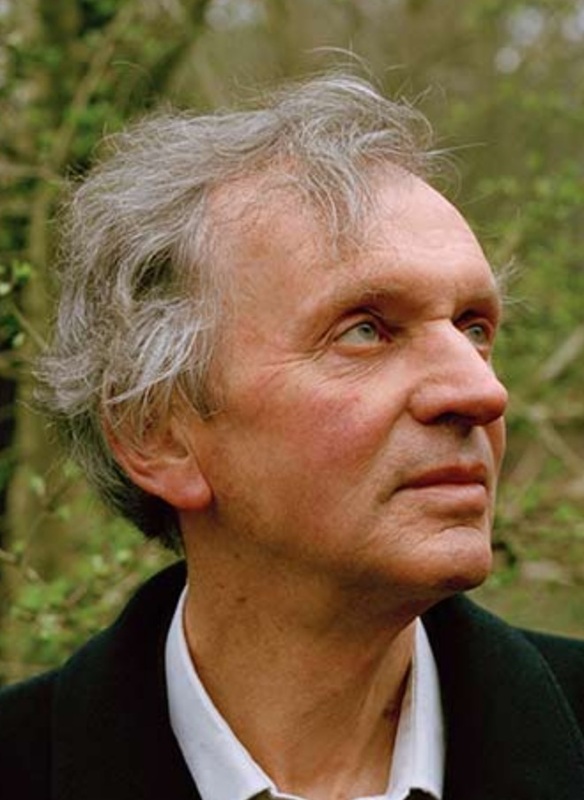 #81 Rupert Sheldrake- Science and Spiritual Practices. 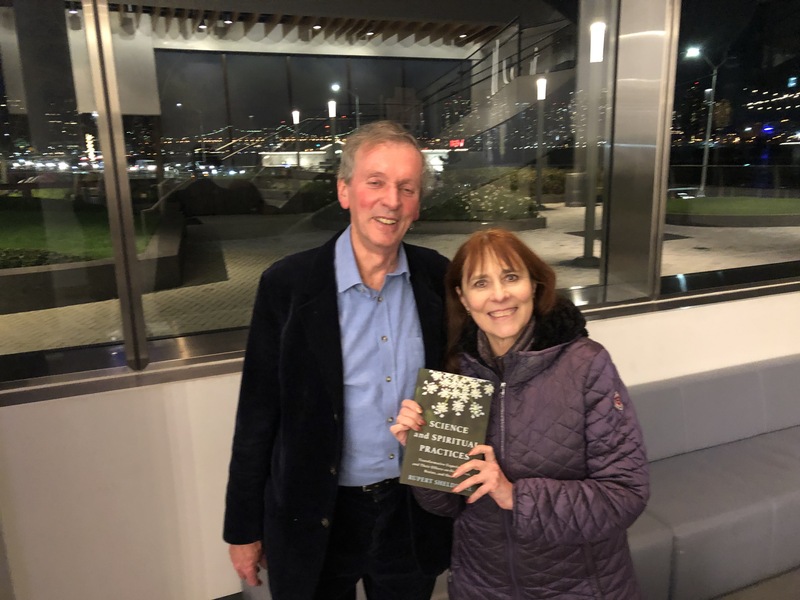 Fahrusha was very pleased to welcome Rupert Sheldrake, PhD, to “Shattered Reality Podcast” to speak about his new book Science and Spiritual Practices:Transformative Experiences and their Effects on our Bodies, Brains and Health and other related topics. We began our conversation with an explanation of the hypothesis of morphic resonance in biology. We continued onward to expound on the seven rather universal spiritual practices that can have transformative effects on one’s mental and physical health. Most basic of these practices is meditation, the sort which can silence the mind’s chatter and promote joy. Next comes gratitude which can be practiced as prayer, grace before meals, or simply earnestly thanking individuals for small or large acts that they have done. “More than human” is the practice in which a person relates to the 99.9999% percent of the Universe which is not human or about human beings. This is probably my favorite. A sub-category is relating to plants as living beings. These first four practices can be accomplished solo, but Sheldrake is clear about the way in which doing things in community with others brings added benefits to the practioner. Among the group practices are the practice of rituals with other humans, although it is possible to do some rituals solo. Singing, chanting and music have amazing effect on the human being and the benefits are multiplied when groups participate together. Going on pilgrimages and visiting holy places can be done alone or with a group. The practice of walking meditation is one that bridges both the category of meditation and pilgrimage. Rupert Sheldrake, PhD, is the author of 13 books including his newest: Ways to Go Beyond and Why They Work: Seven Spiritual Practices in a Scientific Age which is only on order currently in the UK. Errata: During the introduction to this episode of “Shattered Reality Podcast” Fahrusha mistakenly said that it was the 82nd episode when in fact it was the 81st. Any listeners to “Shattered Reality Podcast” are welcomed and encouraged to submit the names of thoughtful researchers into the Mandela Effect to be possible guests on the show. Categories: Author, Consciousness, Edge Science, Healing, Non Physical Realities, Parapsychology, Religious beliefs, shamanism | Tags: Fahrusha, Parapsychology, Rupert Sheldrake PhD, Shattered Reality Podcast | Permalink. 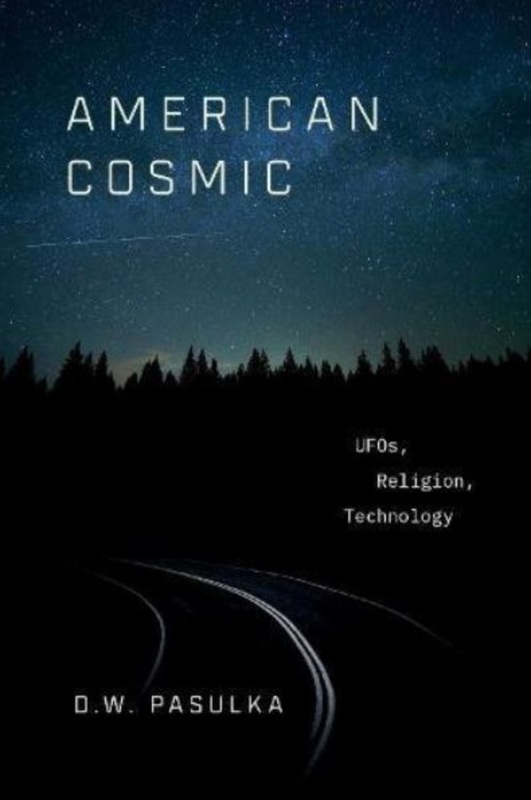 Fahrusha was pleased to welcome Dr. Diana Walsh-Pasulka author of American Cosmic: UFOs, Religion and Technology to “Shattered Reality Podcast”. Together they had a spirited conversation about the UFO enigma. They discussed some very anomalous experiences that Diana participated in, in the Southwest of the US. With two others, she found some unusual materials not believed to be manufactured on Earth. It has become apparent that it is almost impossible to determine what events are real and what events are misreported due to a number of factors. Firstly events have always been reported according to peoples’ views on the subject and what one person sees is not necessarily what her neighbor sees. 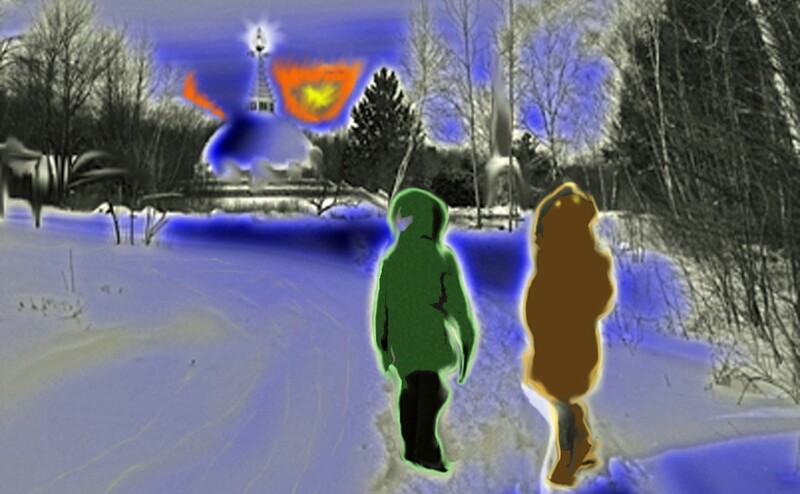 Secondly altering photographs successfully beyond detection is now possible, even by semi-professionals. Thirdly, entertainment and news are becoming mixed and intermingled, with a prevalence of docudramas that give some truth and some fiction. In the memory of viewers they perceive the fictionalized accounts as true. Finally augmented reality devices, such as “Oculus Rift” are becoming more common, allowing individuals to step into their own private worlds. We talked about how traditional religious manifestations such as shared visions and levitation are also factors in the UFO phenomena. We spoke of the Spanish nun, Mary of Agreda who bi-located to the Dulce New Mexico area prior to the arrival of the European explorers, and the celestial manifestations at Fatima in Portugal. We agreed that many factors play a part in the different ways that people experience both UFOs and religious manifestations, especially cultural context. 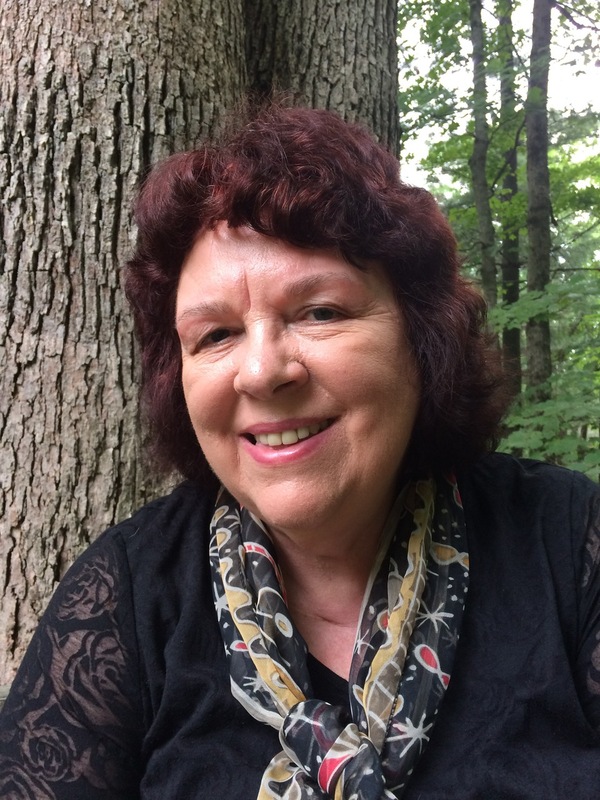 Dr. Walsh-Pasulka has written and consulted on several other books including Heaven Can Wait: Purgatory in Catholic Devotional and Popular Culture. Categories: Alien presence, Author, Consciousness, Non Physical Realities, Religious beliefs, Research, UFOs | Tags: alien communication, aliens, American Cosmic, Diana Walsh Pasulka, Fahrusha, Fatima, Roman Catholic Church, Shattered Reality Podcast, Technology and Religion, UFO enigma | Permalink.